Working in a GLC takes a lot of getting used to. From wearing jeans and tank tops to work, I now have to wear slacks, shirts and structured dresses. From stumbling into the office at 10-ish in the morning, I now have to reach the office before 8.45am *gasp*. Social life at work takes the most getting used to. There’s little or no interaction with colleagues outside of work. No drunken beer sessions, pig-outs or eating trips. But we do get together for meals every now and then – Chinese New Year lunch was one of them. 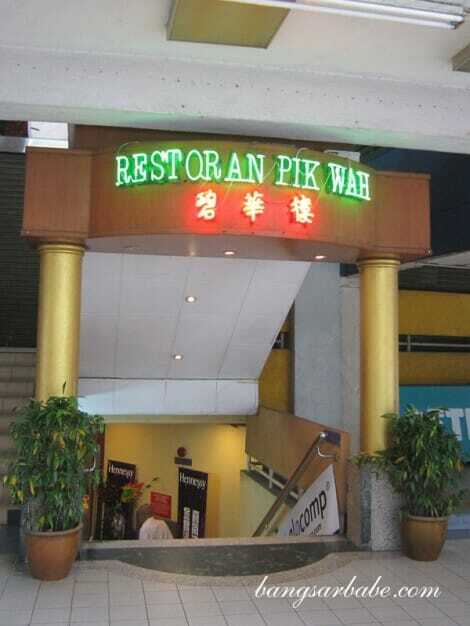 It was my first time at Pik Wah Restaurant and my colleagues spoke highly about this place. By the time we finished tossing the yee sang, I was ravenous. This yee sang wasn’t very good; the crackers were too hard and the salmon slices were as thin as a 2-ply tissue paper. 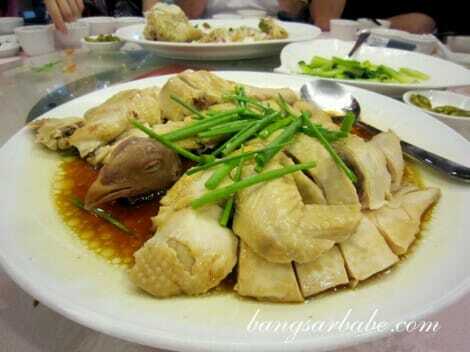 I thought the gravy for the steamed kampung chicken was overkill. It was salty, one-dimension in taste and oily. It did no justice for the chicken, which would have been quite good had it been prepared properly. For RM90, this was expensive. The fried tilapia fish with lemon sauce was decent. Deep-fried till crispy and golden brown on the outside, the fish was moist and tender on the inside. 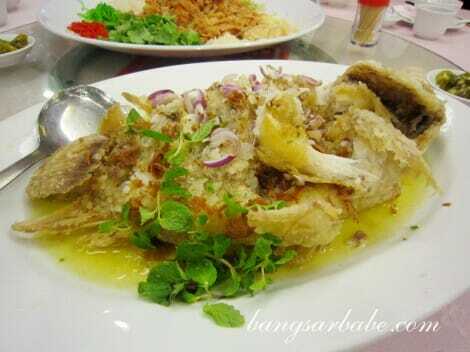 The lemon sauce was tangy and sweet, which masked the muddy flavour of the fish, if it had any. I reckon some honey was used to sweeten the sauce. 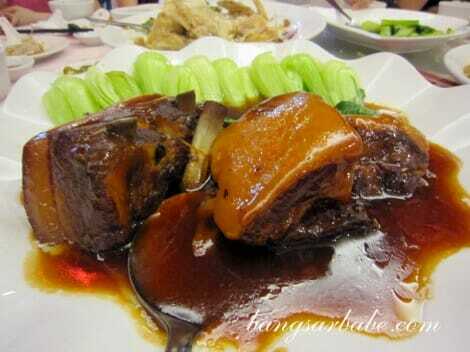 My favourite dish that day was the braised pork ribs with mantau bread. The ribs were falling off the bone and had a delicious layer of fat, while the sauce was rich and caramelized from the cooking process. 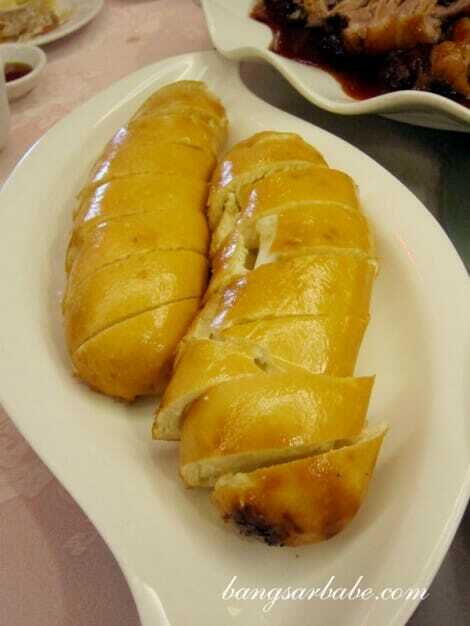 Delicious, when dipped with the fried mantau bread. 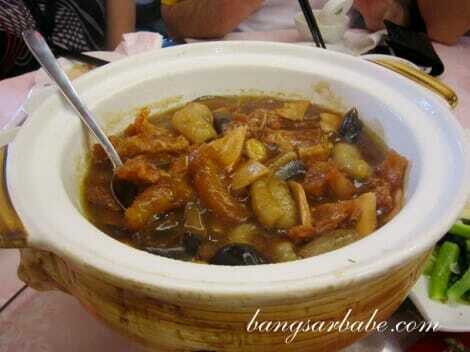 The claypot seafood comprised sea cucumber, baby abalone, mushrooms, pacific clams and dried scallops. Portion was adequate for RM130, but the taste was nothing to shout about. The gravy lacked body and umami. 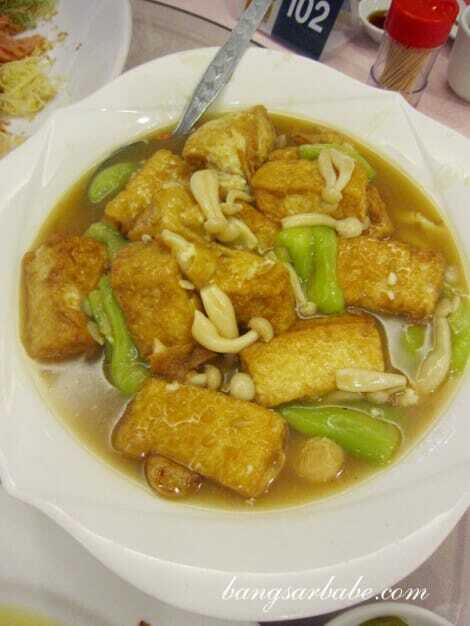 The seng kwa tofu was hardly memorable. This went well with white rice but that was about it. 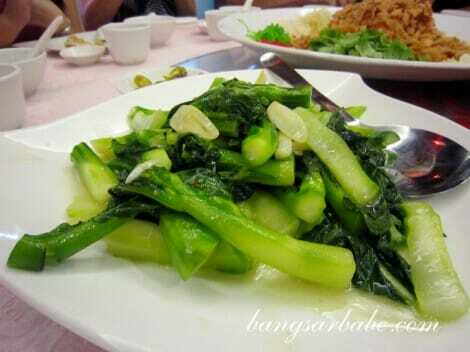 We balanced our meal with the stir-fried kai lan with garlic. The bill came up to RM585 for all the above; pretty expensive if you ask me. 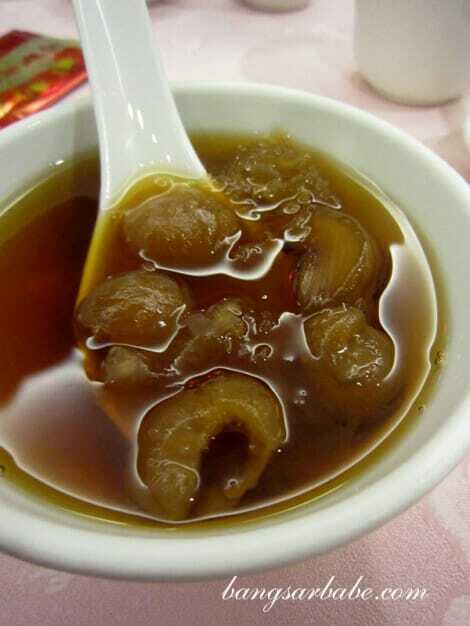 Desserts were on the house – double boiled longan soup with snow fungus and konnyaku jelly. I didn’t care much for either. On a whole, I found the food at Pik Wah very average and expensive. I would much rather dine at Hakka Restaurant as the food is tastier and of better value for money. Verdict: Mediocre food, expensive price tag. The only dish I enjoyed was the braised pork. Indeed d braised fat pork is really good…. I prefer steam pau rather than fried…. Just a question.. Do u take d fats as well or justbd lean meat…? Oooo ur mum want all d fats n leave u all d lean meat…. have not returned to this place ever since my God ma passed away. Strangely it was her fave place even though I felt the food was over rated. Over rated and yet it is packed most days. LOL. Was there during CNY 2012. The lunch was prebooked a month before and to sum it all up, it was an utter dissapointment. 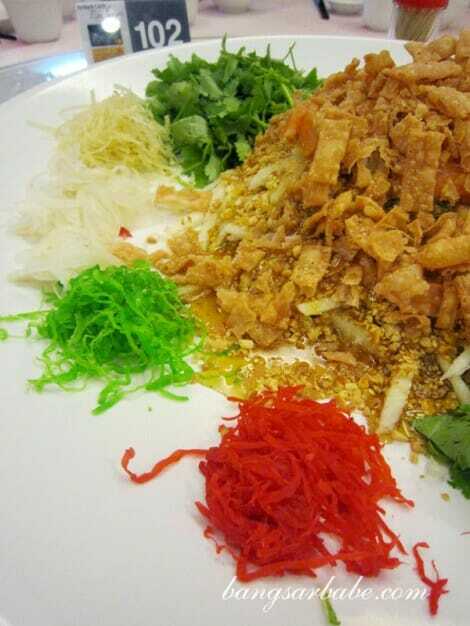 Yee Sang was bad, yes tissue thin fish and taste very very incomplete – if you know what I mean. 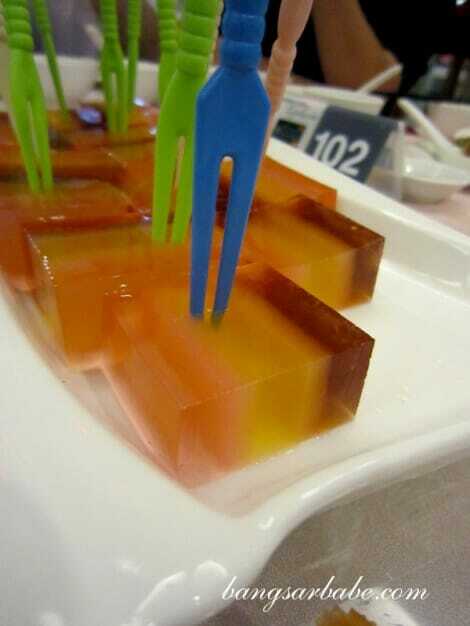 Other dishes were sweet as hell. Will not return to this restaurant.